By the midway point of the first half things were pretty even and the sides appeared well matched. Both sides had chances to score but wayward finishing meant neither goalie had been tested to any great degree. 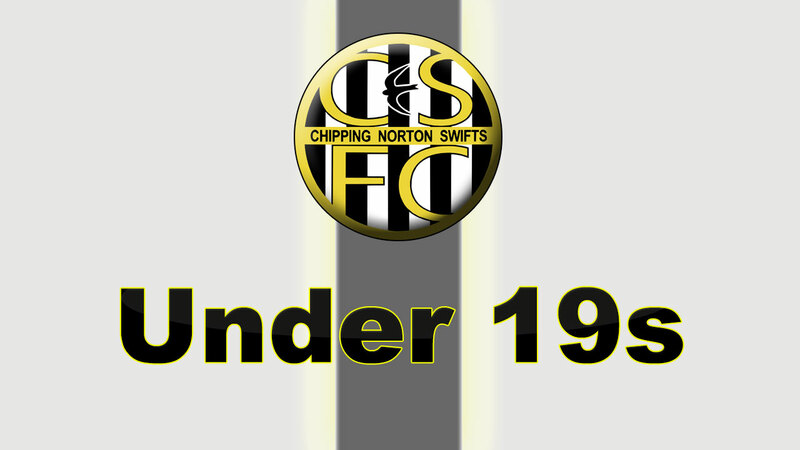 On Chippy’s right, Sam Neal’s quick feet were causing Launton a good deal of unease and his growing confidence appeared to spread throughout the side as Chippy began to pass the ball around quite nicely. One or two passing moves were among the best football they have played this side of Christmas. On 22 minutes Chippy won a free-kick 25 yards out just left of centre. Conor Davies took it but the ball got no further than Launton’s wall. The ball ricocheted down to the byline wide on the left where Sam Davin pinged in a cross. Anticipating the cross was Chippy front-man Ethan Taylor who darted goalwards, half a second ahead of any defender, to head the ball home and make it 1-0. On the half-hour another free-kick in a very similar position, this time taken by Ben Sedgewick, also failed to beat the wall but Chippy were not so fortunate with the rebound on this occasion. More good football by Chippy followed. Miles Beard, Hedley Smart, Jack Legge and Orlando Giannini and the aforementioned Sam Neal were all in fine form and Chippy were looking good. An outstanding save by Hayden Matthews fueled Chippy’s confidence and they approached the break on a high. Then it all went horribly awry! Hayden’s goal-kick came straight back to Miles midway inside Chippy’s half. Launton pressed, forcing Miles backwards. He held the player off and slipped the ball back to Hedley. Launton pressed Hedley who also held the player off before feeding the ball back to Hayden for him to strike clear. But Launton continued to press, and firm though Hayden’s clearance was, it was smacked straight into the Launton man who knew very little about the rebound that careered into Chippy’s net. Launton were overjoyed of course, and with their tails up they immediately set about seeking a second before the break. And to Chippy’s consternation they found it in the 40th minute when a long-range effort slipped under Hayden’s body and nestled into the net to make it 2-1. Launton almost made it three a minute later when a 20 yard volley fizzed against Chippy’s crossbar. To their great credit none of this seemed to dent Chippy’s confidence. With a minute to go, Hedley took a free-kick deep in his own half. Spotting Sam Neal making a run Hedley dispatched a 60 yard diagonal ball to Sam who evaded the off-side trap and slotted the ball beyond the ‘keeper to level the score. That made it 2-2 at half-time. Now the fun could start. Having been with the club for over a decade and been a defender all that time Hedley has always wanted to try his luck up front. Now was his chance. Chippy tore the team sheet up, threw it up in the air, and based their second half formation on the how the fragments fell. So, in goal was striker Ethan Taylor. Across the back was Sam Davin, Jack Legge and Conor Davies. Jack Stott was on the left of midfield while Sam Neal retained his place on the right. In the centre were Miles, Orlando and Hayden. The strike partnership was Ben, and of course Chippy’s skipper and a fantastic servant of the club, Hedley. It wasn’t as bad as it could have been. For a while Launton seemed baffled. Then they realized there was a chance to exploit Chippy’s revised formation, especially the weakened defence, and only some battling by Chippy kept the second half score down to 3-0, making the final score 5-2. The result was unimportant today. It was a chance to celebrate. To reflect on how a group of lads have come together to share their love of football. They haven’t always played superbly but they have (with just a few exceptions) played with a smile. Finally thank you to Ian (and latterly Tim). Your hard-work and selflessness have been amazing. From all the players and parents a huge thank you.